Erica is an artist, designer with an extensive working background within the fashion industry. She has adapted her wealth of knowledge into producing an array of stitched, moulded and assembled pieces. Initially influenced by garment design and their construction processes, she now utilises similar principles as well as adapted 3D technologies to produce much of her new work. 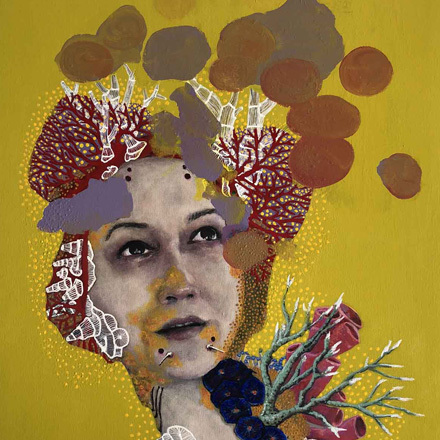 Painting; utilising her unique style with meticulously placed brush strokes, Erica enhances elements of exaggerated personality, layered characterisation and heightened individualism with her imaginative style. Wearables; Erica's interests in exotic materials, natural structures and incorporated 3D technologies. 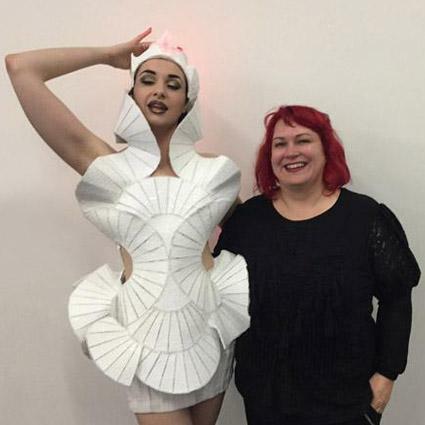 Wearables is a natural progression to her sculpture works, pieces often incorporate a blend of traditional hand sewn techniques with freehand or machine 3D printed componentry. Erica Gray Artist App is another glimpse into my art career; past, present and future. Available for download on ipad and iphone from the App Store.